Lover, but not of Janeane Garofalo. His heart is in San Francisco. No, really; it is. 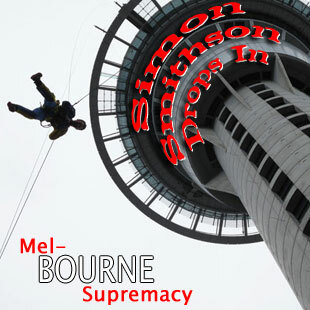 So humiliated by his poor showing on Australian reality television that he jumped off the highest building in Auckland. (OK, fine, the two are not related). Admirer of men who live by the throw of the dice. I think this featured author is the best featured author we’ve had so far. He’s certainly the most Australian. Your metaphysical waxing remains one of my all time TNB faves. There are three, maybe four guys in history who could have pulled that off, and you’re all of them.